Rugged field suspension for bass drum. Titan has its own range of rugged field frames and elegant concert frames. All of Titan's frames are made to order and are manufactured in the USA. The concert bass frame supports most common sizes and suspends them at a perfect height. 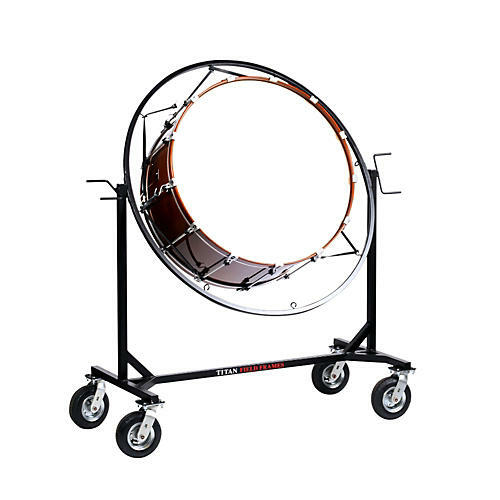 Order today for ideal bass drum presentation in your field routines.